Armostrax Review - (Learn the truth) Does It Really Work? Armostraxis marketed as a legal steroid and testosterone booster. 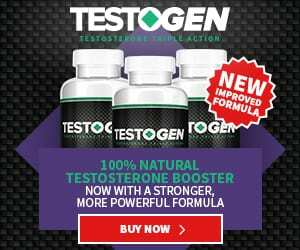 Its purpose is to help the body to produce testosterone naturally and to promote the production of nitric oxide. Through the boost of testosterone, Armostraxis is meant to increase sexual performance and health. The primary ingredients in this supplement are amino acids: L-arginine, L-lysine, L-valine, and L-glutamine. L-arginine acts as a building block for proteins. This helps in the synthesis of new protein compounds and supplies you with that extra energy and strength while working out. L-lysine helps in recovery of the muscle tissues that get torn while working out. L-valine is another energy booster that is also known for its healing properties. The manufacturer recommends two pills per day with a glass of water before a workout. Each bottle lasts one month. We like the fact that the product has been manufactured with natural ingredients, but it comes with a hefty price tag, and it’s not necessarily efficient. With a lack of reliable science behind it, we hesitate to recommend this supplement.